San Francisco (Obama.net)- With the high amount of tension between the United States and terrorist organizations, many are on guard for a potential attack at any moment. While some expect an attack to come from the sky via a bomb or from within a major building through explosions, few expect a strike to come from the post office. But that was apparently the goal of terrorists on Friday. Two packages were stopped in both England and the United Arab Emirates. Upon inspection, the two packages were found to have high amounts of explosive products in them. The material had the strength to create an enormous explosion at the Jewish organizations in Chicago, Illinois that they were supposed to go to. 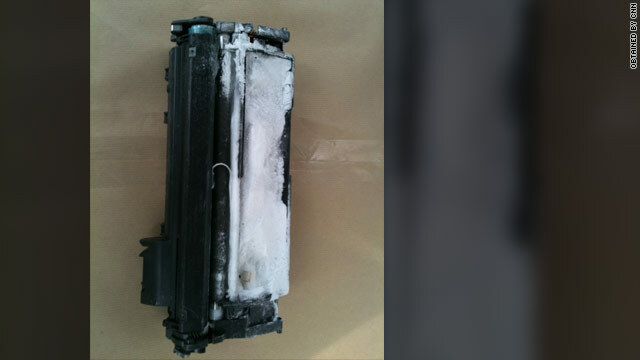 The package that was found at East Midlands Airport in the United Kingdom had wires and a toner cartridge that appeared to be tampered with. In addition, a circuit board was present along with an unidentified white powder. Another package just like it was located in Dubai. The substance found was later reported to be PETN, which is similar to nitroglycerin. It is a powerful substance that can cause a major explosive with just a few grams. It is the same substance that alleged al Qaeda member Umar Farouk AbdulMutallab attempted to use to cause an explosion on a Northwest Airlines Flight on Christmas Day. The explosives were designed to be set off with the use of a cellular phone, hence the presence of the circuit board resembling that of a cell phone. The tracking of the packages and their stoppage was assisted by Saudi Arabia. Saudi officials first got word of the packages, then informed American officials and gave them the tracking numbers to locate the packages. The threat of the potential attack left many shaken up. The possible attack that could have taken place in Chicago would have likely led to multiple deaths and caused terrorism threat levels to rise throughout the world.